Sathyaraj bags Mani Ratnam's next: Baahubali's Katappa turns Aishwarya Rai's husband in Ponniyin Selvan? 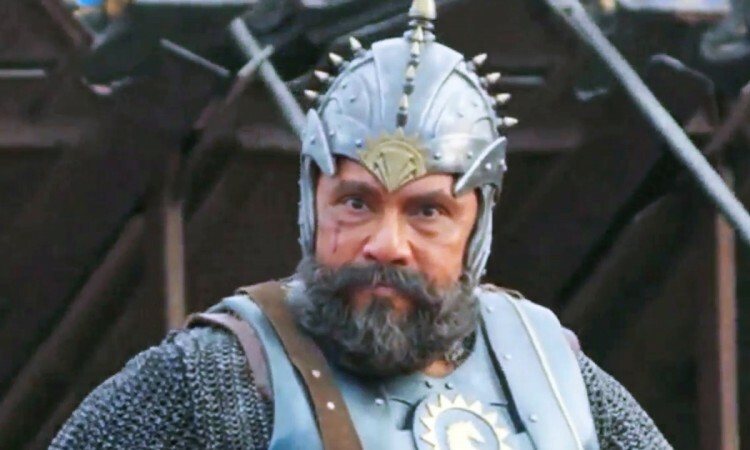 Sathyaraj, who became a household name in the country after playing the role of Katappa in SS Rajamouli's Baahubali series, seems to have bagged one more biggie. If the latest reports are to be believed, he has been signed for Mani Ratnam's upcoming movie, presently referred to as Ponniyin Selvan. As per rumours doing the rounds Sathyaraj was approached for an important character in Ponniyin Selvan and he has given his consent to act in the mega-budget project. The buzz is that he will be doing the role of Periya Pazhuvettaraiyar, or chancellor and treasurer, which is the second most powerful position in the Chola kingdom. Interestingly, there were rumours earlier that Telugu actor Mohan Babu was offered the same role and he had given nod to act in the film. In the latest development, the role has gone to Sathyaraj. It has to be seen whether Mohan Babu is still part of the flick and will play any other role. The earlier speculations had claimed that Aishwarya Rai Bachchan was signed to play the role of Pazhuvoor Princess Nandhini, who marries Periya Pazhuvettaraiyar and uses him as a tool to accomplish her goals. Apart from Sathyaraj and Aishwarya Rai, Nayanthara (Poonguzhali), Amitabh Bachchan (Sundara Chozhar), Jayam Ravi (Arulmozhi Varman), Keerthy Suresh (Kunthavai Naachiyaar), Chiyaan Vikram (Aditya Karikaalan) and Karthi (Vanthiya Devan) are rumoured to be part of the film. Ponniyin Selvan is based on the historical novel penned by Kalki Krishnamurthy of the sanem name. It is widely considered as one of the greatest novels written in Tamil. Lyca Productions is funding the multilingual film. Queen is furious with Meghan Markle's shocking decision for royal baby; A new low for the family?